This year Rocky and Svenja could not come, because of their work and the enormous distance (half the world) which separates them from Gruissan right now. Even if they are having a short holiday, it was not worth travelling such a distance to come here. They are actually enjoying the Marquesas islands on the Duble Bruyn and even if they are busy surfing, we hope they will find the time to write at least a post about that! 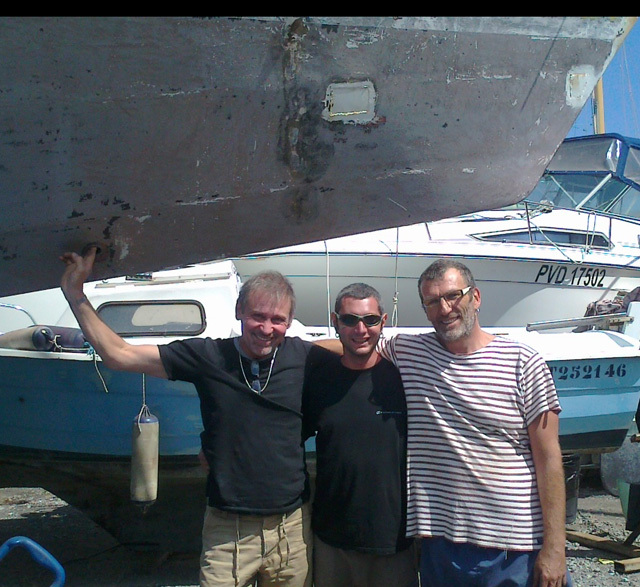 On this side of the world, me and Flavia recruited two friends of ours, Miguel and Davide, for helping us to go on with the refit. In the first two weeks, they already showed us what a good deal we made: working with us for 10h per day 6 days per week, they are very skilled in welding, sanding, painting, and drinking french wine. Everyday we enjoy the progress we make, little by little, in our ambitious project… At the same time we also take a special care in preparing good meals, and everyday, after shower time, we have a busy social life with our old and new neighbours. We have also been visited by some friends from Barcelona, who joined our camp to help us for a few days -they even gave each of us a free osteopathy session! But the most famous guest we had is Vincent Goudis, who came to visit L’Alliance and motivate us a lot to go on with our project. 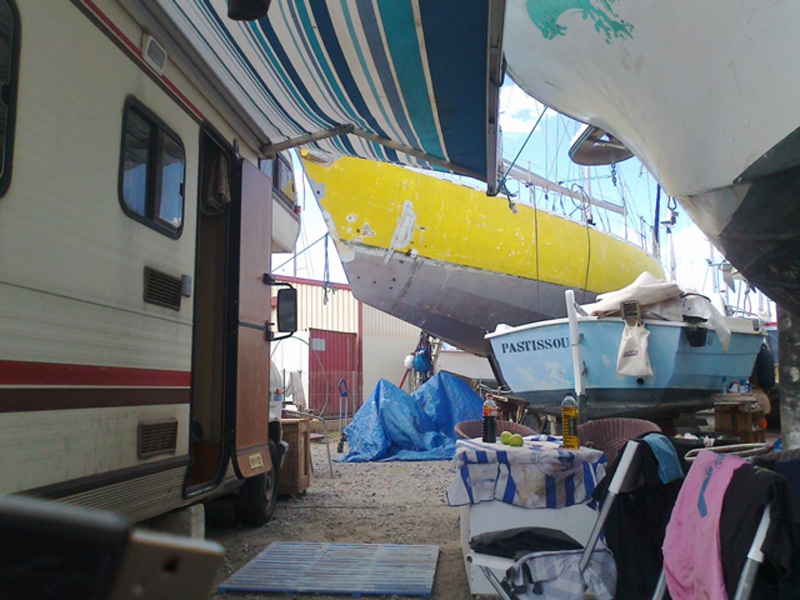 We are going to stay here until 1st of September, and we hope to leave our L’Alliance much better looking than ever, with at least an “healthy” hull and deck. If anybody want to come and see us, he must be prepared for hard work!